The Gaza Strip does not have adequate resources for medical treatment, but Israel prevents patients from leaving. Shahin, who suffers from breast cancer, says that her condition has been deteriorating ever since she was denied exit from Gaza for treatment. 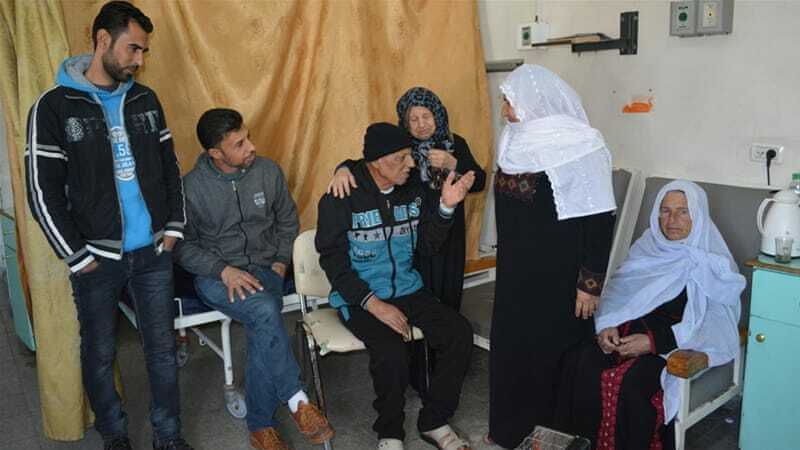 The Gaza Strip does not have adequate resources to provide her with appropriate treatment, yet she cannot leave, as Israeli authorities at the Erez border crossing, known as Beit Hanoon to Palestinians, rejected her permit three times in a row without explanation. Gaza has been under an Israeli and Egyptian blockade since 2007. The Erez checkpoint is the main exit for two million residents of Gaza, connecting them to medical care in Israel and the occupied West Bank. “I can’t go to Egypt either. The crossing closes for three, four months – so I’ll be stuck there,” Shaheen said. 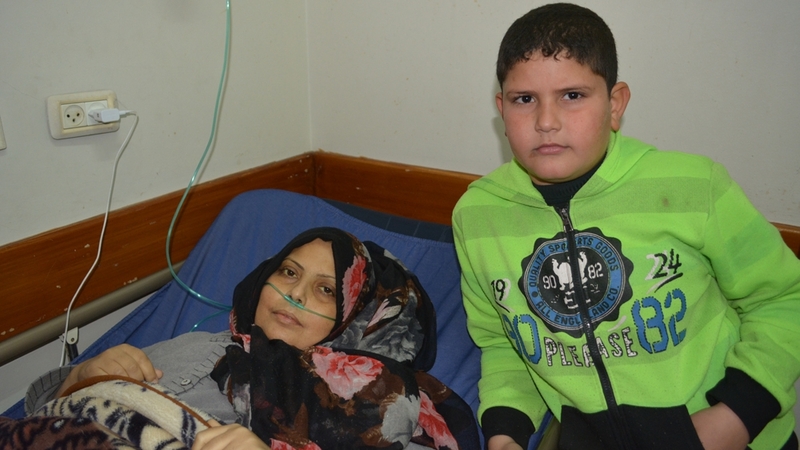 Her struggle is familiar to thousands of patients in Gaza, where around 1,500 people are diagnosed with cancer each year. Chemotherapy drugs are not always available, nor are radiotherapy, molecular therapy, PET scans or isotope scans. Gisha, the Legal Centre for Freedom of Movement, says that patients in Gaza have increasingly been blocked from leaving due to “security” precautions. Others are interrogated at the crossing or forced to wait lengthy periods of time for a response. According to the World Health Organisation (WHO), approval rates for exit permits from Gaza dropped as low as 44 percent in October 2016, compared with 82 percent in 2014 and 93 percent in 2012. My husband and children cried a lot when I was diagnosed. I think about the future now and how to secure my children before I die. An Israeli spokesperson from the Coordination of Government Activities in the Territories (COGAT) unit disputed this claim, citing an increase in the number of patients crossing Erez in recent years, from 22,380 in 2013 to 30,768 in 2016. However, the numbers do not take into account Gaza’s steep population growth. Breast cancer is one of the most treatable forms of cancer, yet five-year survival rates in Gaza are as low as 30 percent, compared with around 85 percent in England and 86 percent in Israel. Radiotherapy is vital for breast conservation, but as it is unavailable in Gaza, a high number of women undergo a full mastectomy and lymph node clearance, which would normally be unnecessary. When Philippa Whitford, a Scottish breast cancer surgeon, asked a patient support group in Gaza’s Al-Bureij refugee camp how many had undergone mastectomy, all of them raised their hands. “Radio isotopes used in bone scans or for guided biopsy of axillary lymph nodes are forbidden entry into Gaza despite having no potentially dangerous application,” Whitford wrote in a column. Patients are also often diagnosed with cancer at later stages due to limited services; Gaza only has two functioning mammograms. Aeshan says that he sees between 50 and 60 patients a day, and only half of them can receive their chemotherapy treatment in Gaza. Around two-thirds of cancer patients require radiotherapy treatment, and hundreds are referred for outside treatment in occupied East Jerusalem every month. Due to the decade-long blockade, surgical skills in Gaza have been frozen in time. According to a 2010 report by the WHO, there are no specialist surgeons to treat oesophageal, pancreatic or lung cancer. “I’ve been going every 20 days for the past three years. Why am I banned now? 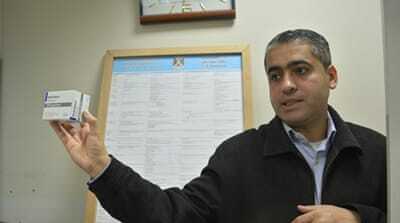 It doesn’t make any sense,” Tatari told a cancer patients’ support group in Gaza City. Chemotherapy treatment is a painful process and if it is interrupted, the patient has to start over from the beginning. Before the start of the blockade in 2007, Gaza was the centre for medications, said Talha Ahmad, a chemotherapy pharmacist. He now describes his workplace at the hospital as a war zone. “I’m fighting everywhere, every day to have the medications required for my patients,” Ahmad told Al Jazeera. In August 2016, 17 percent of cancer drugs were at zero stock – less than one month’s supply on shelves – according to Medical Aid for Palestinians. “I try to tell [my patients], ‘Your medication is not available,’ as gently as possible. It’s as if you’re telling them, ‘I will kill you slowly because your medication is not available,'” Ahmad said. There have also been reports of extortion of patients as they attempt to reach hospitals a short distance away for life-saving treatment. Last July, 19-year-old Yousef Younis received a phone call from the Israeli security service after applying for a permit to treat his leukaemia in Jerusalem. They told him that he could cross if he collaborated with them. He refused, and consequently, his permit was denied. His health quickly deteriorated, and he died the next month. Israel as an occupying force is obligated under international humanitarian law to ensure the Palestinian population’s access to medical treatment and to maintain its medical facilities, hospitals and services in the occupied territories. Gisha found that whenever they challenged a denied permit legally or through media work, Israeli authorities would reverse their decision and grant a travel permit. “This calls into question the arbitrary and slack decision-making process for assigning a security block in the first place,” Gisha noted. Back at Al-Rantisi Hospital, Muhammad Qahman, 67, waits for his appointment. Three days after his brother died from lung cancer, Qahman was diagnosed with the same illness. The cancer has now spread to his brain. The last time he went through Erez, Qahman was in a bad state and waited at the crossing for two hours with an oxygen mask on, his family said. They are worried about his deteriorating condition and the expensive medications available only in Israel. “He won’t recover from the disease itself; we’re just delaying the consequences,” Qahman’s son told Al Jazeera.